Bienvenidos A (Sur de) Miami! It is common knowledge that South Miami is one of the coolest cities in all of Miami-Dade County, Florida, and dare we say (and, we do) America. Know what makes it even cooler? Being home to a Chill-N Nitrogen Ice Cream shop. Nestled in downtown South Miami near the Shops at Sunset Place, we offer the students, families, and tourists a deliciously entertaining option for cooling down on those hot Miami night — all 360 of them! 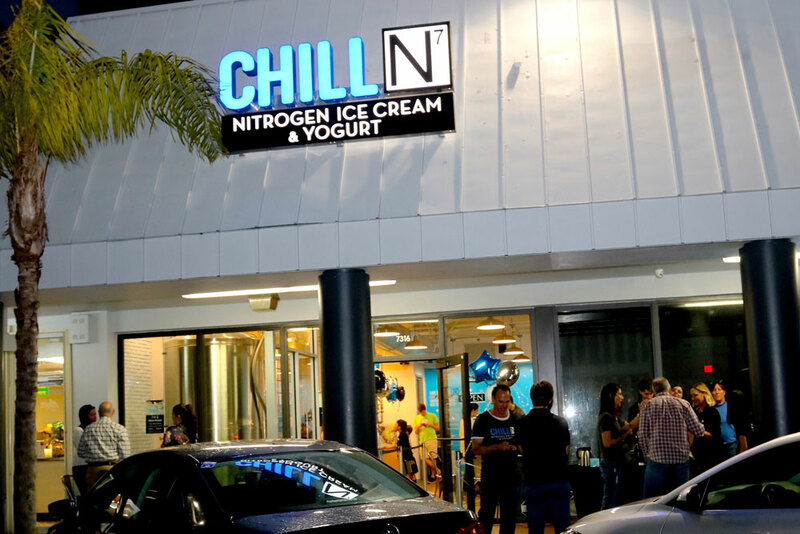 At Chill-N of South Miami, we spend the weekends creating your dream ice cream and the rest of the week researching delicious additions. When you visit our ice cream shop, you can have a bowl of fresh, made-to-order ice cream, just the way you want it, in just six simple steps. Add some mix-n’s — sprinkles, fudge, or even some fruit! Check out the Periodic Table of Flavors for all of the options. Then, stand back, while we use liquid nitrogen to flash freeze it. Mmmmm — enjoy the smoothest, creamiest, freshest ice cream. Whatever the occasion, whatever your mood, we invite you to stop in and let us whip (and flash-freeze) up a unique concoction just for you! If you are interested in an ice-cream stand at your party or event, we cater as well! Contact us for more information, or stop by and we can chat about it over a bowl of our delicious ice cream that you can consider our resume!